Earn points on your purchases! Join Frentz & Sons Rewards to start earning points on all your purchases made at our store. It's EASY! You will be given a key tag to present on every visit to receive 1 point for every $1 spent. There are so many great benefits to being a member! Sign up today or login if you are already a member. Members of Frentz & Sons Rewards, receive special promotions to use on their next visit, earn rewards and receive offers for their birthday. 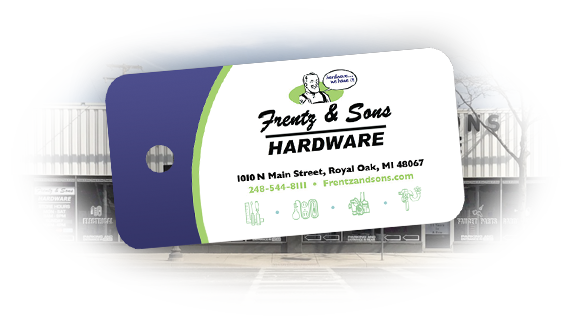 Members earn 1 point for every $1 spent at Frentz & Sons Hardware. Every 250 points generates an award to be used on their next visit.